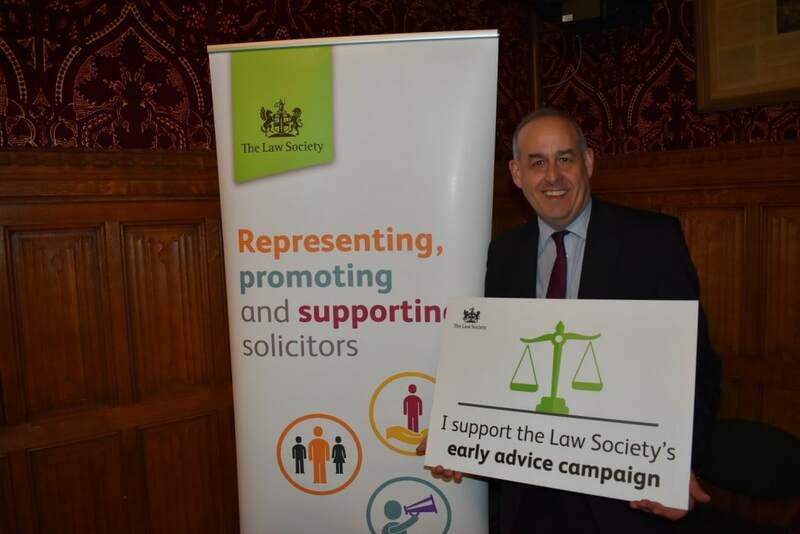 This week I backed the law Society’s campaign calling for the Government to provide legal aid for early advice in family and housing law. Since 2012, legal aid has not been available for most areas of early legal advice. A lack of free early legal advice can cause problems to escalate unnecessarily, adding more pressure on public services, potentially increasing the burden on the courts, and increasing the cost to the public purse. The lack of legal aid for early advice is a barrier to individuals accessing justice, which has a wider impact on the rule of law and the ability of individuals to access their rights. I am regularly contacted by constituents with issues which could have been resolved sooner if only they had access to free early legal advice. We know the Government is currently reviewing the legal aid reforms made in 2012 and as part of that review I urge them to consider providing legal aid for early advice. At the time of these changes to legal aid I, and my Labour colleagues, said it would leave many people without access to justice. This is wrong and needs to be addressed. Waiting 6 years to implement a review is too long and has locked many out of our justice system. “A lack of free early legal advice can cause problems to escalate unnecessarily, potentially increasing the burden on the courts and increasing costs to the taxpayer.